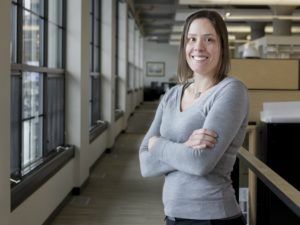 Lyssa Olker, AIA, NCARB, LEED AP, WELL AP, project designer in HGA’s Milwaukee office, has been named among the 2019 40 Under 40 by the Milwaukee Business Journal. Each year, Business Journal reporters and editors select 40 leaders under the age of 40 — from a pool of hundreds of nominations — who have demonstrated outstanding professional achievement while also becoming leaders in their communities. This 40 Under 40 class represents the future of community leadership in southeastern Wisconsin. Winners will be profiled in the publication’s January 18 edition.